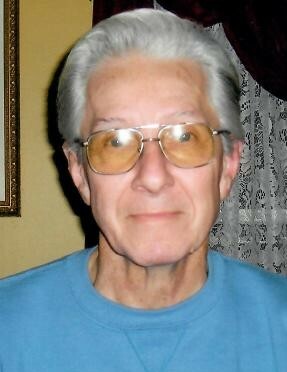 Roger R. Bastien, 78, of Woonsocket, RI passed away peacefully at home on August 29, 2018 with his loving family by his side. He was the beloved husband of Connie Bastien (Doyon) for 53 years. Born in Woonsocket, son of the late Arthur and Florence (Auclair) Bastien. He is survived by his two daughters and two sons. Darlene and Vincent Fleming of Johnston, RI; Brian and Donna Bastien of Manville, RI; Gary and Jane Bastien of Uxbridge, MA; and Sharon Reilly of Cumberland, RI. Loving grandfather of Aaron Bastien and Olivia Reilly. Also survived by sister Bertha Boucher of Woonsocket, RI. Roger worked at General Motors for 23 years before retiring in 1989. Roger was a champion bowler. He bowled on T.V. in 1962 and was the first bowler to average 200 in the State of RI in 1963. Also was the first one to hit a 700 series at Walnut Hill Bowl with a 720 in 1964. Bowled in 24 team championships and won the State All Events Title in 1974. In addition to bowling, Roger enjoyed playing pool and softball. He was one of the top pool players in the City in the 1960’s and played softball in the Field of Dreams League for Seniors. Roger was a true Boston Red Sox and New England Patriots fan. Roger enjoyed traveling, spending time with his family and spending time with his friends at the coffee shop. His funeral will be held on Wednesday, September 5, 2018 beginning at 9:00 a.m. from the Holt Funeral Home, 510 South Main Street, Woonsocket RI with a Mass of Christian Burial at 10:00am at Holy Family Church, 414 South Main Street, Woonsocket, RI. Calling hours on Tuesday from 5:00-8:00p.m. In lieu of flowers, donations may be made to Hope Hospice & Palliative Care, 1085 North Main Street, Providence, RI.